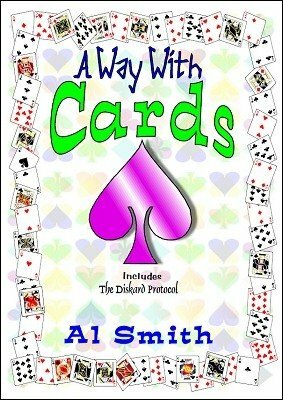 Including covers, contents page and suchlike, A Way With Cards is a 65 page ebook overflowing with 28 individual card items and lots of waffle to cheer them on. A well-shuffled mix of thoughts, ideas, opinions and similar to titillate the palate. Regular street-worn cardboardian craziness and nothing too convoluted or finger breaking. Plenty to shake the windows of the card resistant few, and a soothing blend for Cardonians. 1st edition 2013, 65 pages.